On a budget? 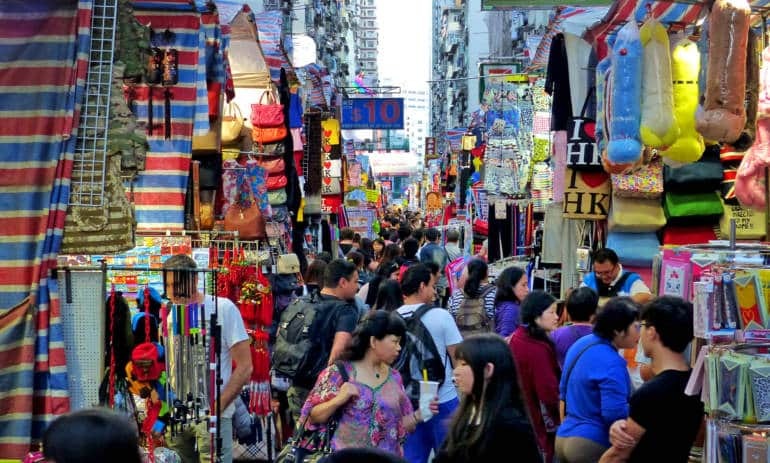 Don’t let Hong Kong’s reputation for being expensive put you off! 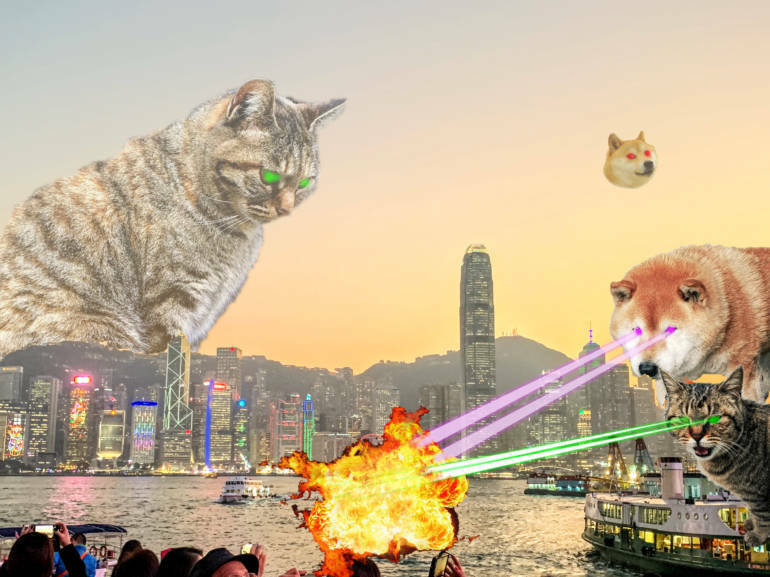 We’ve put together an itinerary for you that lets you enjoy 48 hours in Hong Kong (2 days, 1 night) on less than US$100.00. Head to a local bakery and grab yourself one of the sweet and savory breakfast buns and a soy milk or Hong Kong–style milk tea to start your day. (HK$15.00–HK$20.00). 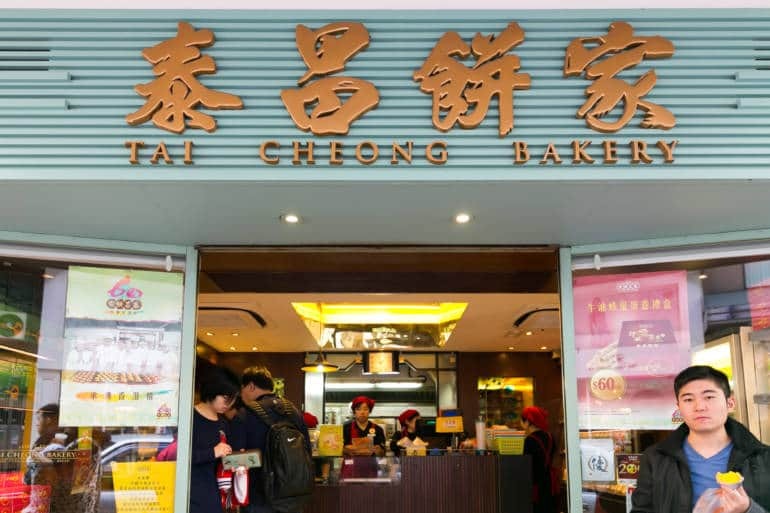 Try the Tai Cheong Bakery (35 Lyndhurst Terrace) where you’ll find an array of egg tarts, chicken or pork pies, pineapple buns and wintermelon, almond and sesame-paste-filled wife cakes. Hong Kong is great to see by foot. (Although be warned, in the summer heat and humidity, it might feel like forever.) Go for a walk and explore the nooks and crannies of Sheung Wan where traditional Hong Kong lives amidst the high-rises. Around the corner from Tai Cheong Bakery is the Graham Street Wet Market where residents and nearby restaurants get their fresh produce. 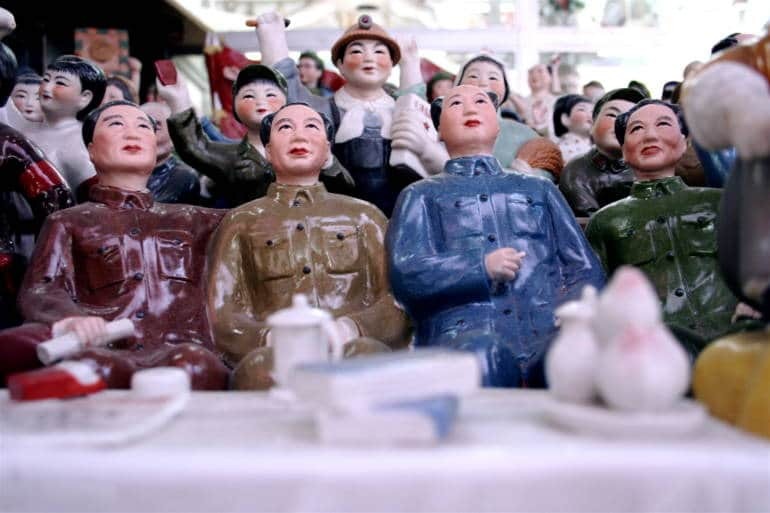 Make your way along Hollywood Road checking out the antique stores and art galleries. They won’t all be open at this hour, but there’ll be plenty showing in the windows to keep you occupied. 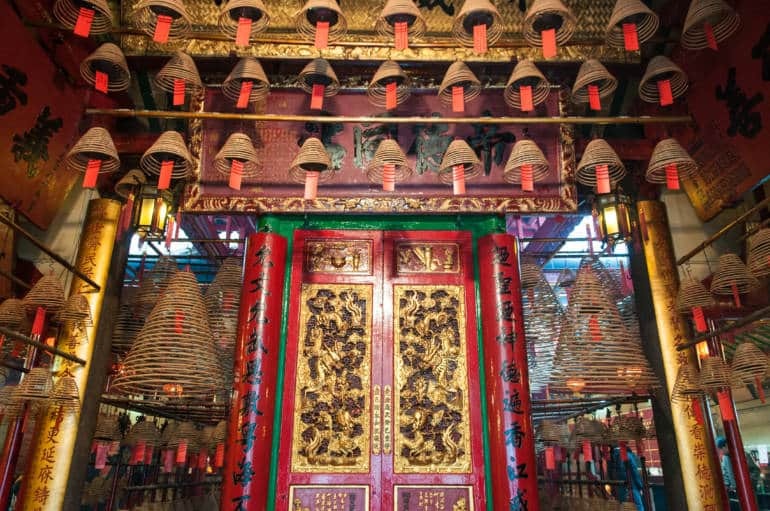 Take a peek into the more-than-a-century-old Man Mo Temple, and its smoky interior. That heady scent of burning incense coils is a signature Hong Kong scent that’ll remind you of this city long after you’ve left. Take the steps down from near the temple to Cat Street (or Upper Lascar Row) and browse the stalls of knick-knacks and curios. Explore the Tai Kwun Centre for Heritage and Arts (10 Hollywood Road) an elegantly restored former police station and prison complex that now has a new lease on life as an arts and culture centre. Peaceful courtyards, geometric hallways and stairwells, beautifully decorated restaurants and bars provide a lovely respite from the crazy energy of the city’s central business district. This architectural gem will keep any Instagrammer happy. And for the literary and arts-inclined, who knows what poetry readings, art exhibitions and artist and authors talks might be on? 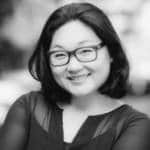 Check Tai Kwun’s event section. Remember to get your pass online, ahead of time. Entrance is free, but they’re trying to limit the number of visitors. Grab a slice of pizza and a soda at Paisanos (23 Hollywood Road), a local favourite for anyone in need of a quick and cheap bite. (HK$35.00–HK$50.00). You can’t leave Hong Kong without having seen that classic view of Hong Kong from Victoria Peak, home to Hong Kong’s ultra-wealthy. It’s well worth doing the Peak Circle Walk, an easy, ambling 45 min–1 hour walk that boasts some of the best panorama views of the city. Take the no. 15 double-decker bus from near Pier 5 in Central (HK$9.80 one-way). Take the bus back down from the mountain and make your way to the Star Ferry (Pier 8) to catch the ferry and see the view from across the water. (HK$2.00–HK$3.10 depending on the day and whether you’re on the upper or lower deck). Walk along the waterfront and go for a peek inside the Peninsula Hotel, where many a celebrity and dignitary have spent nights. Afterwards you can either walk or take a short subway ride from (1 stop) from Tsim Sha Tsui to Jordan to go for a stroll around Temple Street Market or the Ladies’ Market. Grab dinner at any of the street stalls, or at the Jordan Curry House (HK$45.00 and up). When you’re done, take the ferry back across the harbour to Central to see that classic view of Hong Kong all lit up at night. Lay your head down for the night at the Bali Holiday Resort Lamma Island (HK$350.00 and up). Just a 30-minute ferry ride away from Central (Pier 4), this no-frills, comfortable lodging in small village houses just five minutes away from the Yung Shue Wan ferry pier is the starting point of your next day’s adventure. Here’s the ferry schedule. Slow down and enjoy a bit of island living in an otherwise electric city. There are no high-rises and no chain stores in Yung Shue Wan. Three-storey village houses that make up a warren of passageways lined with mom-and-pop cafes, restaurants and little corner shops where you can grab a bite or two. 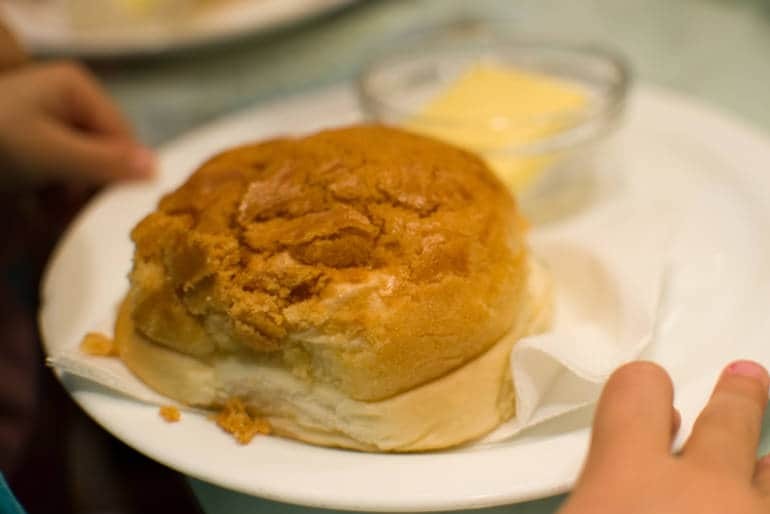 We suggest the Banyan Bay café (67 Main Street) (HK$50.00–HK$100.00). If you fancy a bit of a lie down on the beach after, it’s just a short walk to Hung Shing Yeh Beach. Take time to breathe in the salty sea air and watch tropical trees sway in the breeze. 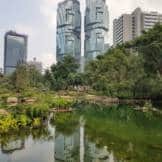 There are kilometres of trails to explore on this lush bit of Hong Kong countryside, and you could certainly spend a day or two seeing where your feet take you. 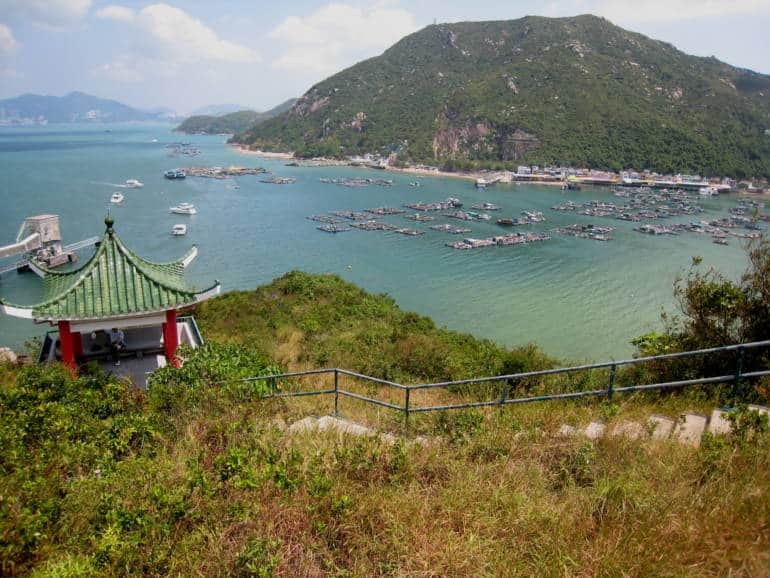 For the time-crunched, try the section of the Lamma Island Family Trail from Yung Shue Wan to Sok Kwu Wan (1–2 hours). Start at Hung Shing Yeh Beach and explore the well-marked trail that takes you up hills where you can look across to nearby islands and lonely beaches and walk through woods dotted with wild banana and papaya trees. You might want to stop and check out Kamikaze Cave, where Japanese military launched suicide missions during WW2, and Tin Hau Temple, dedicated to the resident sea goddess. Treat yourself at the end of the hike to a seafood lunch at the Rainbow Seafood Restaurant (HK$80.00–HK$500.00 per person), one of the restaurants that sit upon stilts on the bay. The options here can range from cheap and cheerful, to rather exorbitant if you order specialty seafood. Take the restaurant’s free ferry back to Central. 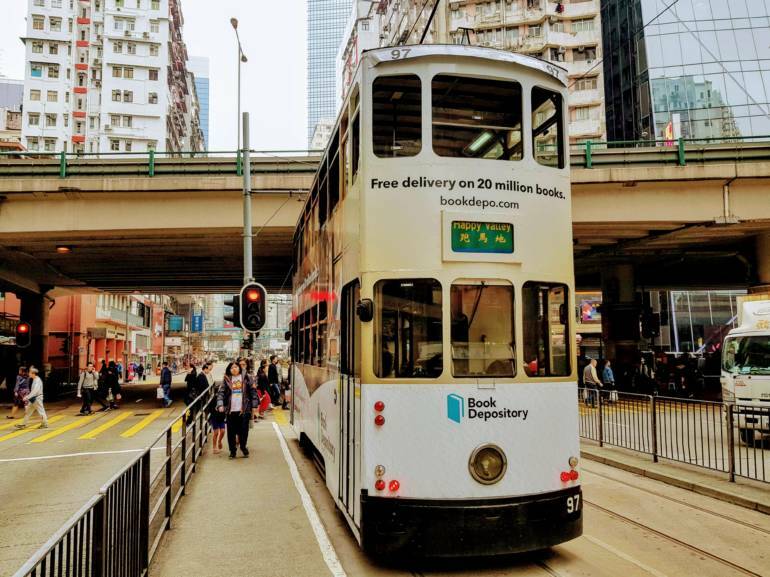 Hong Kong is a city of contradictions, and there’s no better illustration of that than the watching life in the city unfold on a “ding-ding,” the old rickety double-decker trams that trundle along east to west along the northern shore of Hong Kong island. Try and get yourself a seat upstairs and right up front for the best views. We suggest taking the tram from the stop by The Landmark on Des Voeux Rd Central all the way to Kennedy Town. You’ll start in modern Central between shiny skyscrapers and weave your way through the old neighbourhood of Sai Wan with its charmingly decrepit tong lau (tenement buildings) adorned with old neon and hand-painted signage, and dried seafood hang in shops which have been there for decades. At Kennedy Town’s waterfront promenade grab a few beers, snacks and sandwiches at the 7-11 (HK$20.00–HK$30.00) and watch the sun set over Victoria Harbour (HK$30.00–HK$50.00). We recommend a short walk to the Western District Public Cargo Working Area, also known as Instagram Pier, for a particularly spectacular view.